Clark, the leading HR Services company in Kildare, have just announced the results of their 6th Annual Workforce Survey conducted with the co-operation of a sample of 525 companies across all business sectors and 5000 employees and candidates covering the geographical corridor along the M7 motorway from Carlow to Citywest. This survey provides information to Employers and Employees regarding Salary levels, Benefits, Workforce Education levels and Company hiring plans for 2014. 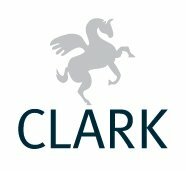 The Clark Workforce Survey is a valuable tool to gain an understanding of Workforce trends in the market place which employers have come to rely on as part of their annual budgeting preparation, annual appraisals and compensation reviews. This is a decrease of 10% in Male and an increase of 10% in Female compared to our last Survey in 2011. 33% of companies have experienced growth in staff levels within the past 12 months. Only 15% of employees took a salary reduction in the past 12 months, as opposed to 44% in 2011. 68% of companies intend on keeping staff levels the same and 32% anticipate increasing staff levels in the year ahead. 20% of the workforce was impacted directly or indirectly by redundancy in the past 12 months, as opposed to almost 50% of the workforce in the previous 24 months. Celebrating 15 years in business and recently accredited with ISO 9001:2008 status, Clark has built a reputation as a trusted partner to the many national and international companies established in mid-Leinster and the thousands who want to use their skills in the area and achieve that all important work/life integration. Clark have invested in being the only Irish HR Services Company accredited to use the highly regarded Innermetrix suite of tools to help companies and individuals identify Behaviour, Talents and Attributes and to develop their strengths. We believe there is nothing more important to the sustained profitable growth of your business than having the right people doing the right jobs. Our workforce survey shows that 33% of employees have reported receiving help with Coaching or Career Guidance within their roles. Clark – Leading Business Solutions through People!